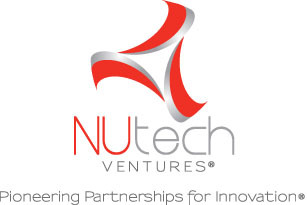 The NUtech Ventures Marketplace is your source for software and digital media developed at the University of Nebraska. If you have any questions regarding our software offerings or for more information about working with us to distribute software and digital media, please contact us at info@nutechventures.org. A single order provides a single license for one personal computer and only for non-commercial purposes, including teaching, academic and government research, public demonstrations, personal experimentation, and/or the evaluation of the Software to determine whether to enter into a commercial license. Commercial use of the Software requires a commercial license. NUtech Ventures will negotiate commercial licenses upon request. These requests can be directed to info@nutechventures.org. The name of the University of Nebraska-Lincoln and/or NUtech Ventures shall not be used in advertising or otherwise to promote the sale, use or other dealings in this Software. THE SOFTWARE IS PROVIDED "AS IS", WITHOUT WARRANTY OF ANY KIND, EXPRESS OR IMPLIED, INCLUDING BUT NOT LIMITED TO THE WARRANTIES OF MERCHANTABILITY, FITNESS FOR A PARTICULAR PURPOSE AND NONINFRINGEMENT. IN NO EVENT SHALL NUTECH VENTURES, THE UNIVERSITY OF NEBRASKA, ITS EMPLOYEES, AFFILIATES, OR STUDENTS BE LIABLE FOR ANY CLAIM, DAMAGES OR OTHER LIABILITY, WHETHER IN AN ACTION OF CONTRACT, TORT OR OTHERWISE, ARISING FROM, OUT OF OR IN CONNECTION WITH THE SOFTWARE OR THE USE OR OTHER DEALINGS IN THE SOFTWARE. Some of our software products require a license key for activation. If your chosen software requires a license key, this information will be noted in your order confirmation email. License keys will be generated and sent to you by separate email within 1-2 business days of your order. If you have not received your key within 2 business days, or if you are having problems with activation, please contact us for assistance. In accordance with UNL policies, the NUtech Marketplace can accept Visa, MasterCard and Discover. Due to UNL and state regulations at this time, we are unable to provide other methods of online payment, such as PayPal. Charges from the NUtech Marketplace will appear on your card statement as being from UNL MARKETPLACE. Please note, all business is conducted using USD currency. International banks may charge extra fees for automatically/dynamically converting local currencies. By obtaining a Software license with us, you are agreeing that you are responsible for any charges/fees regarding currency conversion. If you are shopping as a tax exempt entity, we can setup your UNL Marketplace account to be tax exempt while shopping in any of the UNL Marketplace stores. However, due to tax regulations and laws we are required to have the proper tax forms before you begin shopping online. To start the process of becoming a tax exempt customer, please contact us at info@nutechventures.org to complete this process before making a purchase.